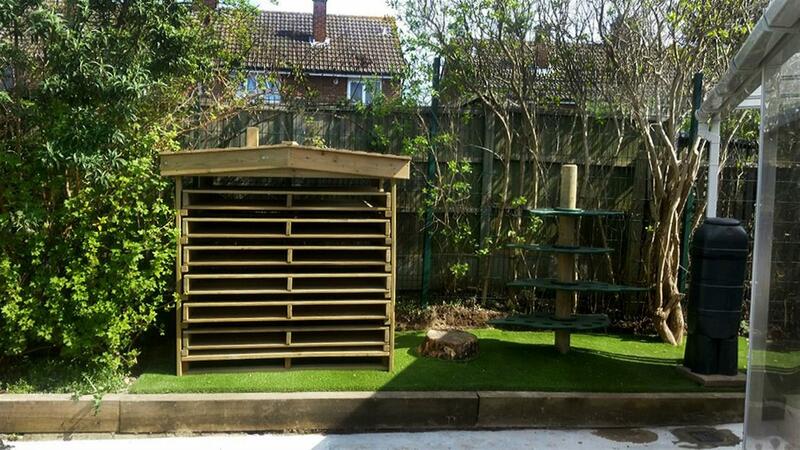 Hutton All Saints were in desperate need of revamping their early years outdoor learning environment. Their space was a mix of concrete and worn grassed areas that offered no opportunities for creative or active play apart from a few dated resources that desperately needed replacing. 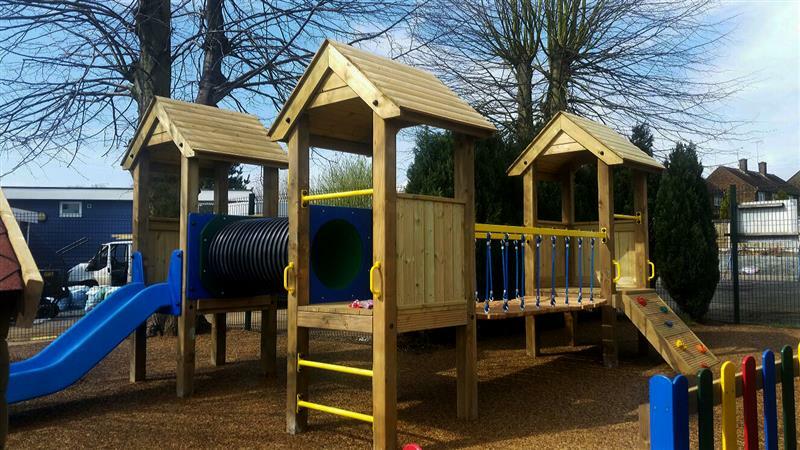 Safety was a slight issue, so we had to ensure that the new environment would reduce the amount of incidents that could potentially occur during play times. Our plan was to create a well-zoned and open-ended playground environment complete with outdoor resources that the children could self-select from each day. 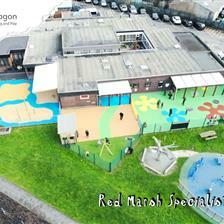 We wanted to put the children in charge of their area and let their imaginations lead the play. 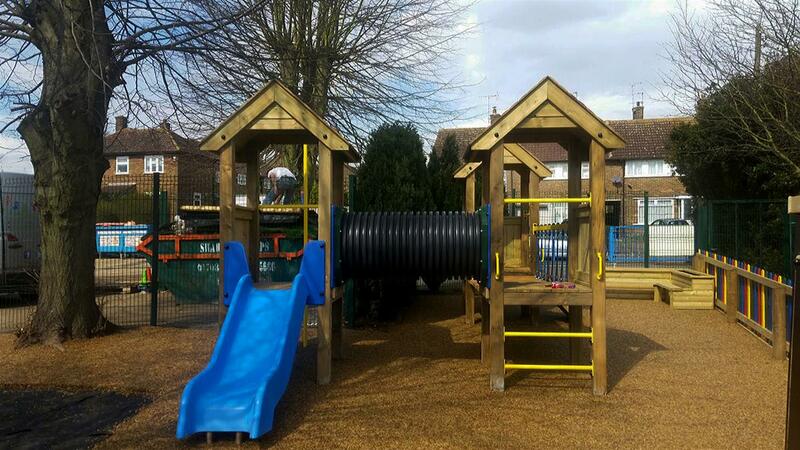 Playground environments should stimulate children’s imagination and senses. 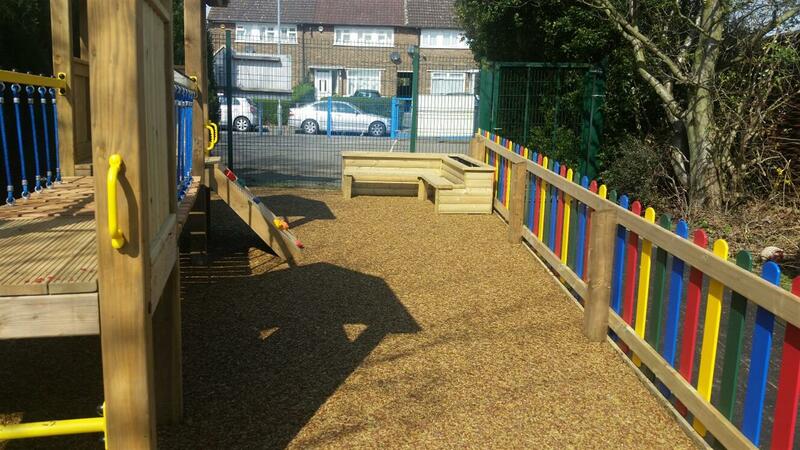 Our Imaginative and Creative playground equipment were chosen to offer Hutton’s children plenty of opportunities for imaginative and creative play. 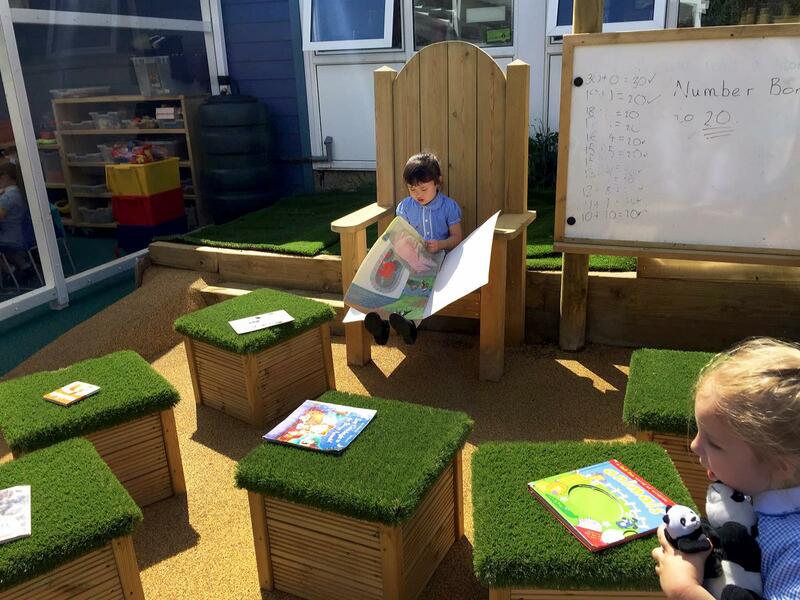 We created a bright and inviting Storytelling Area and with the addition of our Moveable Artificial Grass Topped Seats, teachers and children can now rearrange the seating whenever the feel like it. Children can now take it in turns to sit in our Story Telling Chair and read their favourite story which will help develop their confidence and spoken language. It is a much quieter which can be great reflection. We also added a mark-making board to help promote writing and drawing outside. 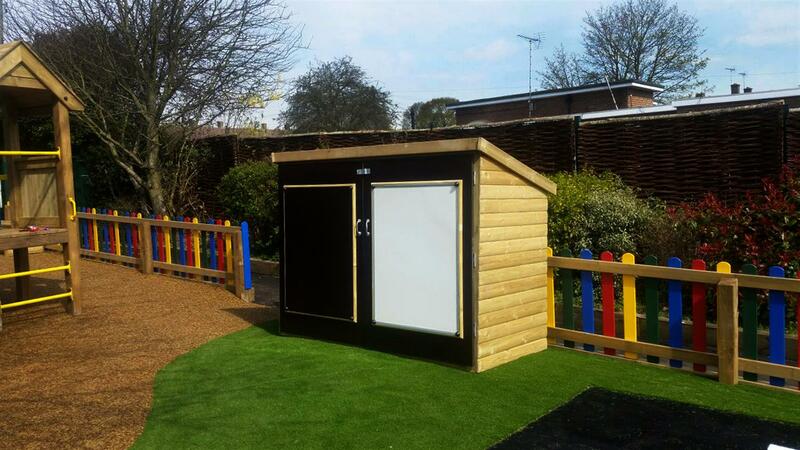 Giant Playhouse with Walls and Chalkboard – This is fantastic for promoting expressive arts and pretend play within the playground and acts as the ideal social hub for children to go to during break and lunch times. The addition of the chalkboard allows it to be opened up as a teaching aid for outdoor lessons. Covered Sand Table – An inclusive resource that enables children to play whilst standing and can help reduce feelings of frustration and develop children’s sense of touch through interactions with the sand. Our Wolvesey Play Tower is the centre piece of Hutton’s new early year’s playground and helps promote both active and imaginative play. Children will love to run, climb and slide their way around their Tower, dodging and covering from the fire breathing dragon that roams around Hutton’s school environment. The children have a range of challenges to overcome and through safe risk-taking, they will begin to develop climbing confidence as well as their communication as they help others do the same. To really brighten up the outdoor area and make it more inviting, we re-surfaced the old concrete and worn down grass areas with our Playturf and Saferturf Surfacing. This has made the entire play space a lot safer and will help the children lead the play without extra supervision as well as help them become more confident when take safe risks. 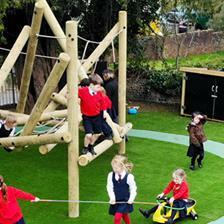 Our Playturf is a fantastic artificial grass product that looks and feels like the real thing. 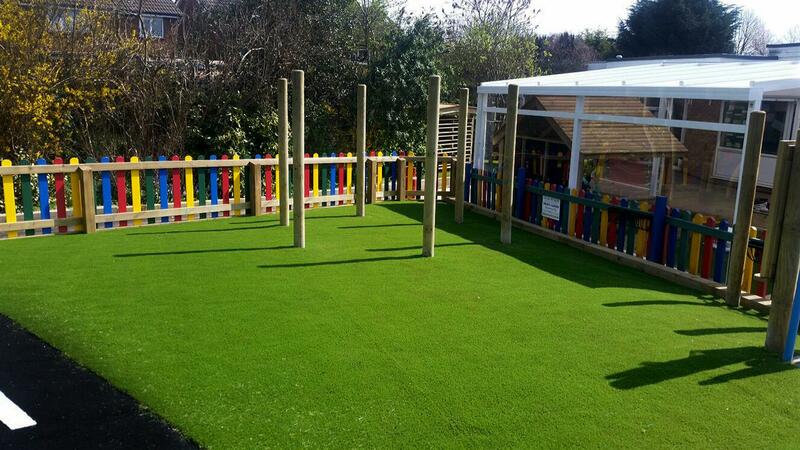 Artificial Grass is an all-weather resource and will keep the same stunning visual impact all year round. 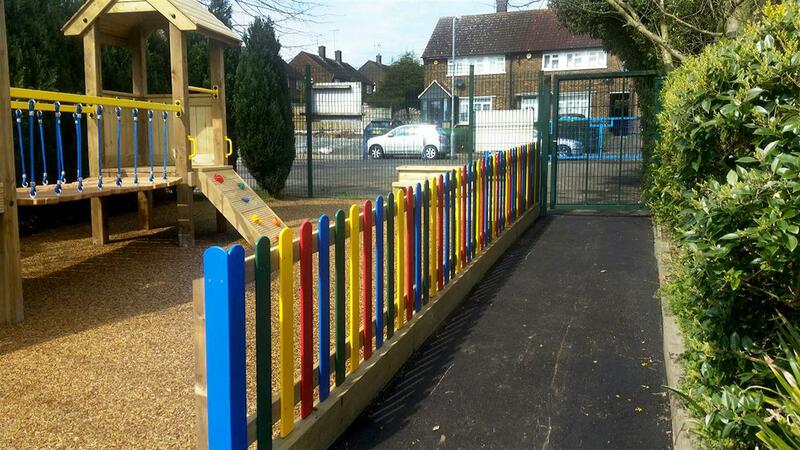 Saferturf surfacing was added to help brighten up and add colour to Hutton’s outdoor learning environment, whilst making the area feel more inspiring for learning and play. 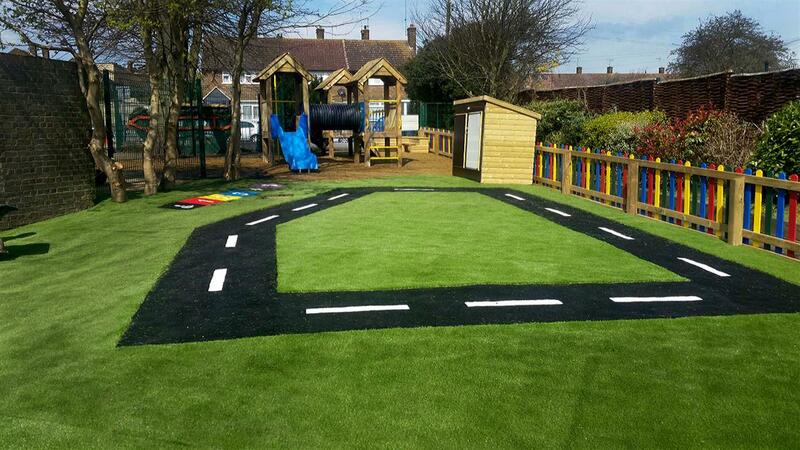 Parking Bays – these will help children understand the importance of sharing and taking turns. 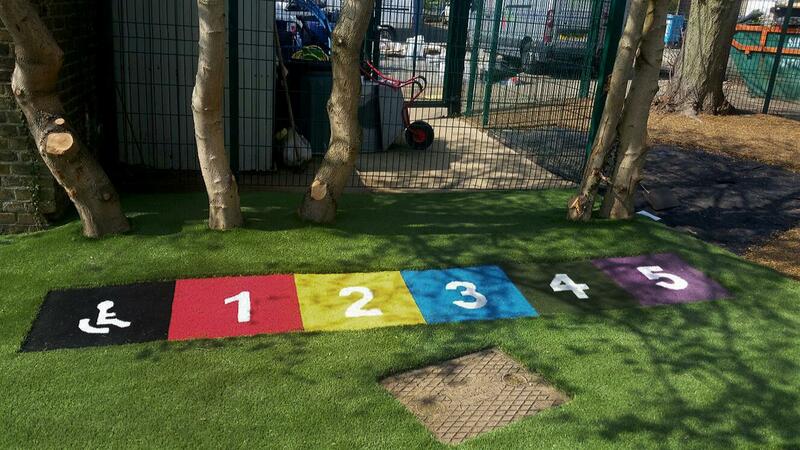 Saferturf Numbers – a fun and engaging way for children to count and learn maths when outdoors. To add a new element of fun and learning, we installed our Solar Powered Stop Watch to enable children to time how long it takes them to get around the roadway. This also adds some light hearted competition as they compare times with each other. Teachers can also use the Stopwatch to help introduce children to solar power and energy. Any rooms available in the Bug Hotel? Bug Hotel – get the children filling up each section of the hotel with different outdoor materials. They will love visiting back to see what bugs and creepy crawlies have entered their hotel. Planting Tree – a great way to introduce the plant lifecycle. Get the children to decorate their own plant pot and watch the children return every day to see the progression of their plant and compare it to their classmates. 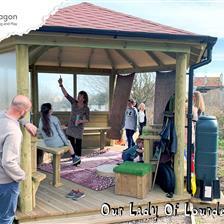 Planter Bench – a calming seating area for reflective thinking and natural learning. Children will be able to create a stunning bench with flowers and plants. 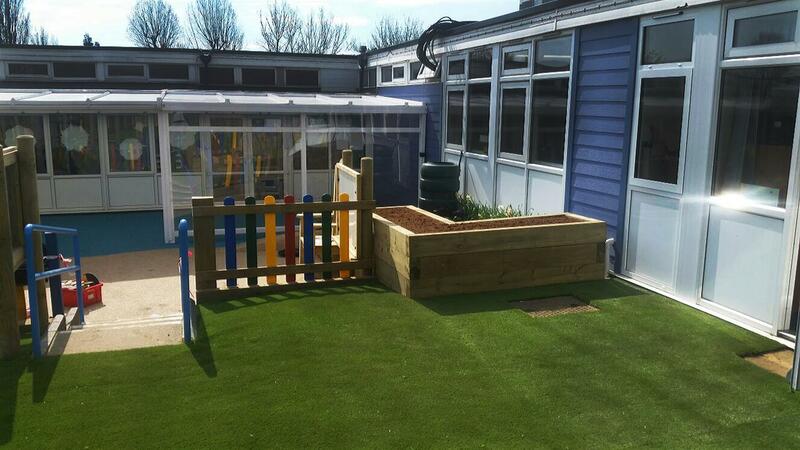 If you are interested in developing your outdoor learning environment and need a company you can collaborate with and trust, please do not hesitate to Contact Us through the website or call us to speak to one of our specialist consultants on the chosen numbers - 01625 890 330 (North Office) or 0117 379 0899 (Southern Office).